Why Does Your Skin Break Out When Trying A New Product? Is It Normal To Get Pimples After Trying A New Product? Most of us have surely gone through holy grail products when it comes to skincare and makeup. We all have products we swear by and repurchase because it does the job and it does it well. However, every once in a while, though our skincare routine is working perfectly fine, we come across new recommendations that we are curious to try. Unfortunately, there are times when we're incorporating a new product into our regimen, it causes reactions on our skin. We may just perceive as 'skin purging,' but is it really normal or is it a cause for alarm? 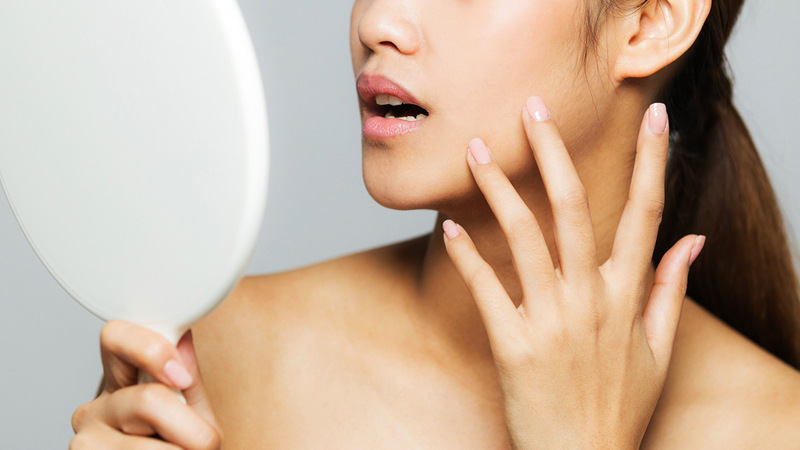 We sat down with dermatologist Dr. Benedict Carpio and asked him about the truth behind “skin purging” and whether or not it’s becoming an excuse for us to stick with products that don’t actually work. His initial reaction summed it all up, "What do you mean, ‘purging’? I don’t know such a thing!" he laughed. We went on to explain that it was a term loosely used by the community to describe how skin can "get worse, before it gets better," especially when detoxifying or clearing up impurities that cause acne. After the period of breaking out, that’s when the promise of clear, smooth skin will come to the surface. Kidding aside, Dr. Benedict further explained that the reason why he refuses to accept this modern buzzword is that because it is not backed up by science. "Purging is not normal because skincare products, especially the topical ones, should not cause adverse reactions for extended periods of time." He gave an example of the most common cause of purging, which are topical creams, moisturizers, and serums. "These products are designed to fill in your fine lines and hydrate your skin from dryness. If they are scientifically-tested and are a match with your skin type, that I see no reason for it to cause any reaction," he explained. "If you experience irritation or any allergies, please stop," he added. It simply means that the product is not working for you. A simpler comparison to this would be your body’s reaction to food allergies: Why eat shellfish when it causes you to flare up and itch? Same goes with skincare—why continue using a product your skin is actively saying no to? There are a few exceptions to this case, though. "You can experience breakouts [or purging] if and only if the new product you are introducing is an oral supplement," Dr. Benedict said. "Exacerbations on the skin are normal for oral medication given that it is a side-effect of the change of hormones in your system." Another situation where this may be okay is when you undergo chemical peels. A downtime of peeling and redness is to be expected as new skin sheds for around three to seven days, depending on how your skin regenerates afterward. Overall, Dr. Benedict’s rule of thumb is that if any irritation occurs, you must immediately stop and consult your dermatologist on next steps. Most products should be harmless, so the minute you don’t feel right, it probably is because your skin is not a match for it. If that cult fave makes you breakout, toss it and move on to the next! Don’t worry, CGs, there is a multitude of choices to explore—it’s only a matter of choosing the right one for you.